Continued to prepare the Star Wars: Armada terrain from SpaceRocks.net for the next Armada game this weekend. 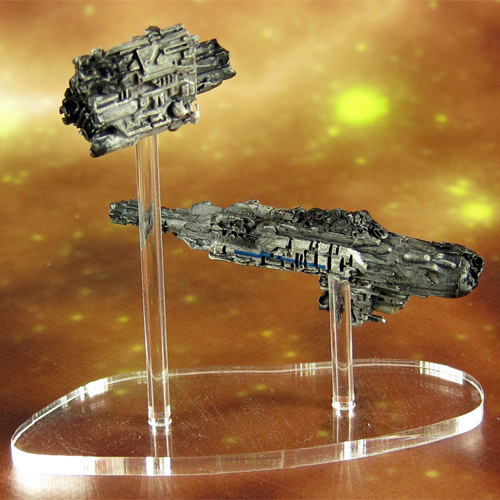 Again – all of this comes prepainted and is ready to go out of the box, but I decided to repaint the Nebulon-B wrecks to personalize my set a bit. The asteroids look fantastic, so I did no additional work on them. My experiences with weathering pigments AK Interactive have been great so far and I used them again on these models. 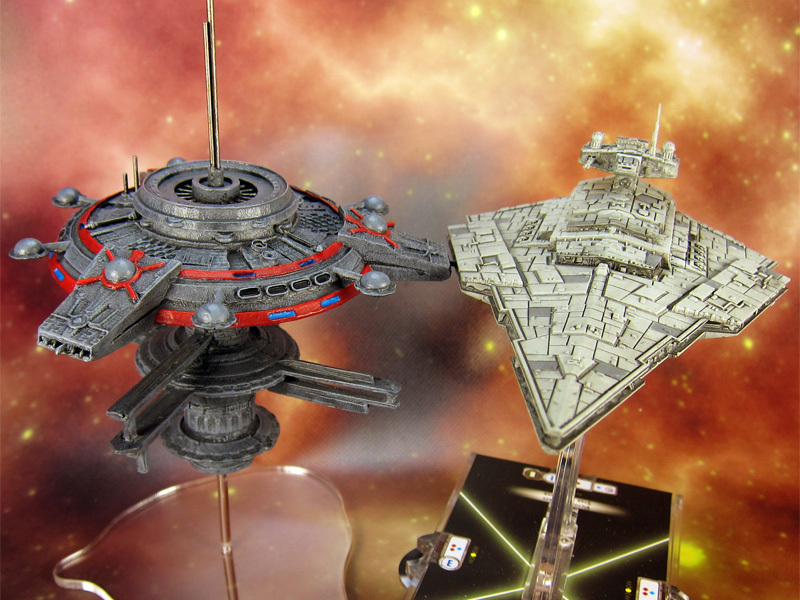 Painted two Corellian Corvette wreck terrain pieces for Star Wars: Armada from SpaceRocks.net. With my Armada fleet ready it is time to prepare the battlefield. Every tabletop needs some nice fitting terrain and while reading WWDP I stumbled across this great article about Star Wars: Armada terrain by SpaceRocks.net. They even provided a 10% discount code. 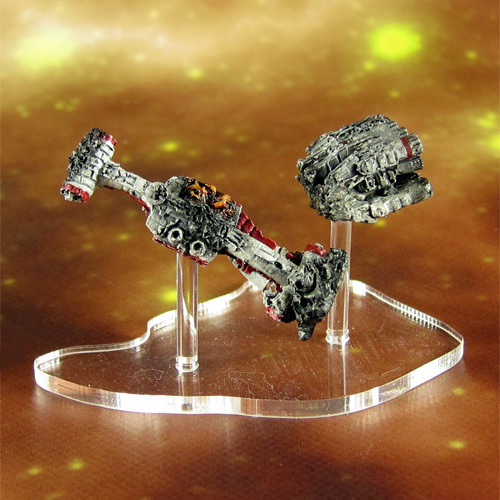 About ten minutes later my order for the Armada terrain (and some X-Wing asteroids) was placed. Sadly there were some problems with the delivery of my order (the package got lost) and it took quite a while until I got my stuff. Mike from Space Rocks was nice enough to add some additional debris to make up for the delay. 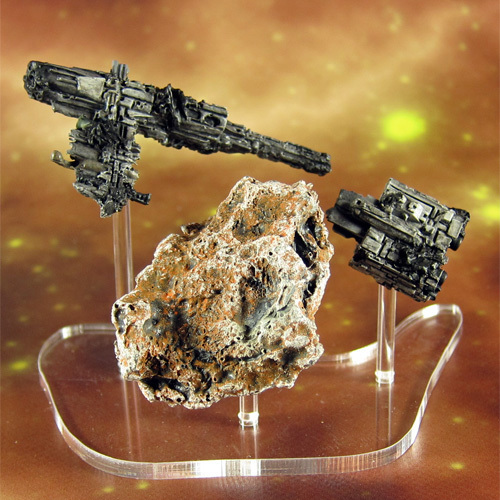 The terrain pack consists of three wrecks in seven pices, five asteroids and one space station. Everything is prepainted. Although there were some noticeable mold lines on the station and some bubbles on multiple parts, this pack has some great value for $55 (even less with the 10% discount code). The laser-cut bases provided with the models fit perfectly over the terrain markers from the Armada base set. While playing you can place the terrain on the marker and just remove it if a ship enters the terrain. Affordable, great looking and does not get in the way while playing – I really love this stuff. I decided to give the terrain my personal touch and started with the space station. Completely repainted it and added some antennas to the model. Just love how the size and height fits perfectly for a Star Destroyer to dock with the station. I really liked what difference the change of the color of the markings on the Nebulon-B Frigate did and decided to do the same thing to one of my Corellian Corvettes. Very simple paintjob, changing the red markings to green. Originally I had no plans to do any changes to my second corvette. This changed after I saw the season 1 finale of Star Wars Rebels shortly thereafter. I really liked the paintjobs of the three corvettes shown in this episode. 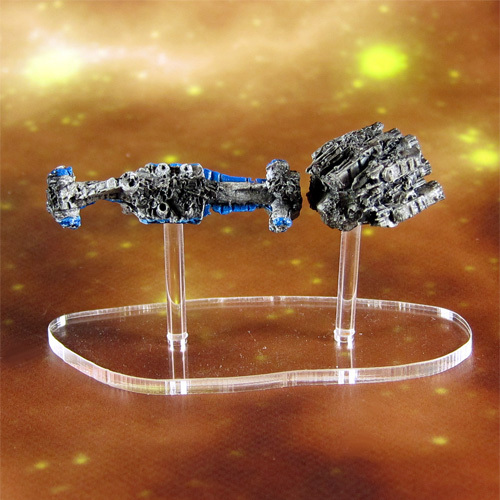 Two of the ships sported the markings from the original trilogy in blue, but one had different markings, which set it apart. I decided to apply this markings to my second corvette. Removed all existing markings by painting over them with the base color of the model and then applied the new blue markings. Really like the result. 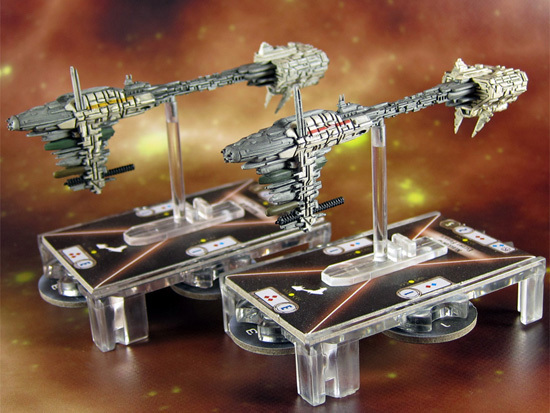 I’m looking forward to my first SW Armada game this weekend and have been preparing the fleet. 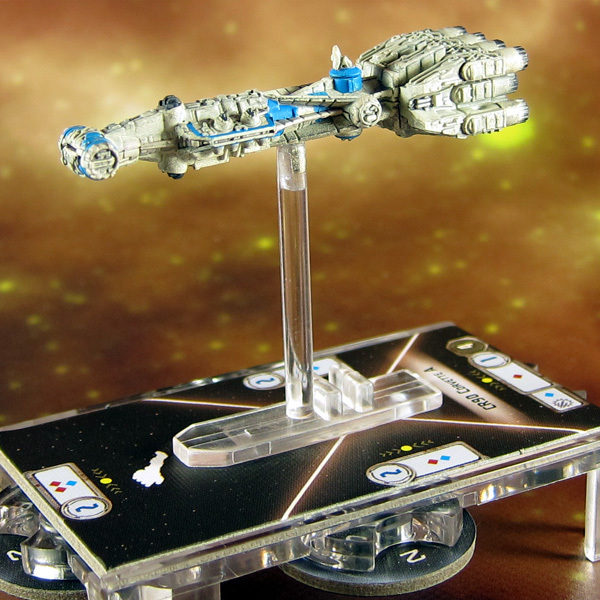 For the most part the prepainted Star Wars minis are just fine and need no additional work, but the Nebulon-B frigate looked a bit too clean for me. I decided to add a dark wash to the model, which helped to bring out the details a bit more. In addition I decided to change the color markings of one frigate from red to yellow to get some more variety on the battlefield.